You have experienced the great, transformative power of Yoga. 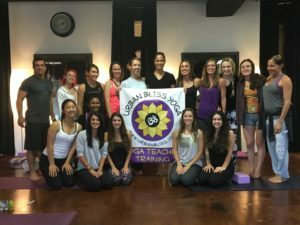 Now, you are ready to join the ranks of Urban Bliss certified yoga teachers to improve the quality of your practice and possibly even share it with others. At Urban Bliss’ Yoga Teacher Training, we have designed a complete curriculum based on technical and practical understanding in order to root you in a truly powerful tradition of Yoga. When we teach from a place of knowledge, amazing things can happen! The 200-hour Yoga Teacher Training is structured in an approachable, grounded manner to facilitate learning. Along with practice and lecture, you will receive training materials and access to video resources, including formative texts such as the Bhagavad Gita and Patanjali’s Yoga Sutras. Urban Bliss wants your learning process to be immersive and complete. Ready to register? We urge you to do so as soon as possible, as students who have early access to their materials do much better throughout their training. 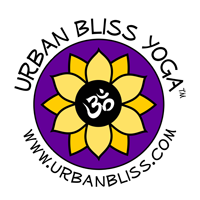 Find your local Urban Bliss 200-Hour Yoga Teacher Training and start your application!